Fluoride treatments are another way for you to help make sure that your teeth continue to stay healthy and clean. While fluoride can be found in everything from drinking water to various rinses and toothpastes, many people are still somewhat unclear as to how fluoride can benefit your overall oral health. Fluoride is a mineral that is found in many different things, and using it comes with many benefits. The main benefit that one can expect from fluoride comes from its ability to strengthen your teeth. For one, brushing with a fluoride toothpaste or rinsing regularly with a fluoride mouthwash can be great as a preventative measure, helping prevent the beginning stages of tooth decay. Even beyond that, however, using fluoridated dental products can help strengthen spots that have been weakened by inconsistent oral habits, bad dietary choices, or other issues. Chances are, though, it’s in your drinking water, and while some people seem to think that having fluoride in drinking water can be harmful, this isn’t necessarily the case. According to the Canadian Dental Association, fluoride is added to public water as a way to protect us from tooth decay. The process of doing so is safe and is an easy way to help protect the teeth of the community in a way that isn’t costly. 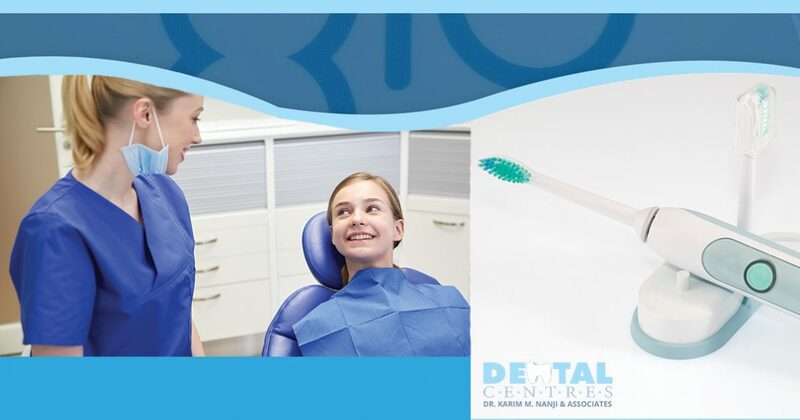 The Dental Centre is happy to offer fluoride treatments at many of our locations in the greater Toronto area, including (but not limited to) our North Port (Port Perry) location. These treatments are a bit more advanced than what you can purchase at your local pharmacy and work to help prevent you from experiencing the harmful effects of cavities and tooth decay. To learn more about our fluoride treatments or if you have any questions, fill out the form below. We look forward to hearing from you!